There is an air of excitement in the various schools I have visited in the last few weeks. The new technology has arrived. The boxes are now open and shiny new gadgets are in the hands of eager students and teachers. It almost feels like Christmas has been granted an extension until February. Like any new gadget, our first inclination is to play and discover the realms of possibility. We press the all the buttons on our new toy and discover it’s cool features. Those of you using iPads for the first time will find an app for just about everything. No matter how versatile your new technological devices are, it is the pedagogical thinking that will enhance the teaching and learning. As teachers we have to develop a very clear understanding of what we want learners to do with new technology, not what the technology can do. 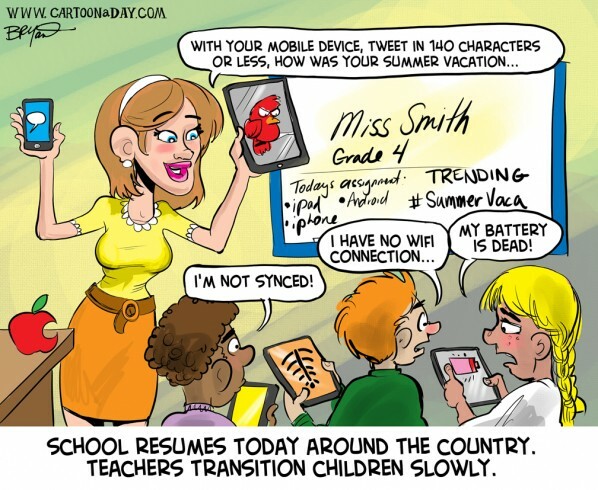 We have to make new technology suit the learning, not make the learning suit the technology. Trying to make learning suit the technology is really a feeble attempt to justify why we purchased the shiny new gadgets in the first place. Great to speak to so many teachers in my travels in the last few weeks. So many teachers are very keen to implement assessON as early as possible in their schools. Some new assessON animated tutorials are now avaialble on YouTube. Go to http://www.youtube.com/user/assessONHelp. As mentioned in my previous assessON post, assessON is a great tool to kick-start the year. By creating a Readiness assessment, you can see what students already know about a topic area.